Did a teacher ever tell you not to draw in a book? Using simple techniques of collage, folding, cutting, stamping and colouring-in, kids re-purpose old books into new ones. The process encourages an engagement with the tactility of books, and the potential they have to share ideas and spark new ones. 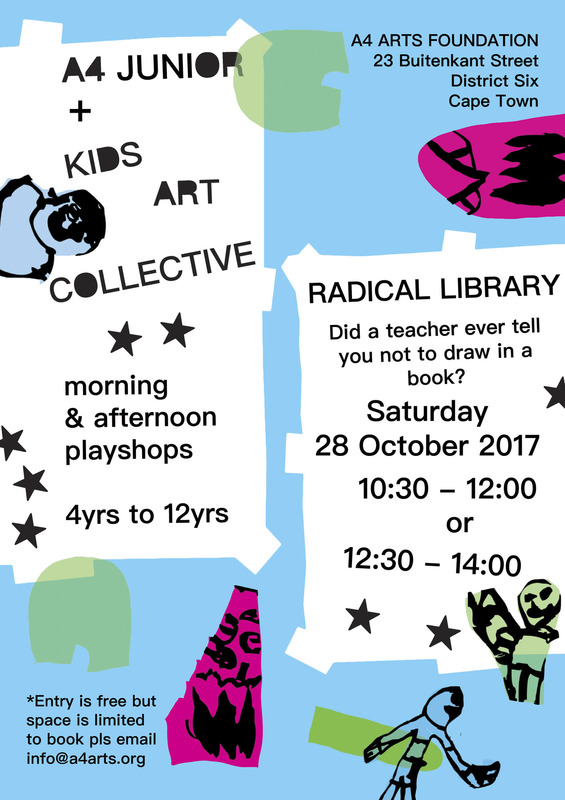 The Kids Art Collective is a free-form workshop for children facilitated by architect Ilze Wolff and arts-educator Francesco Nassimbeni. The Kids Art Collective employs a methodology encompassing focussed play and discovery, championing the imaginative act and allowing full creative autonomy in young participants.